Snyk is a security solution designed to find and fix vulnerabilities in Node.js and Ruby apps. The best feature of Snyk is that their bot can provide you with a PR on Github with all the security fixes. You just review and click merge. Security can sometimes be easy! I also like to be reminded through mail if I have any issues or if everything is fine. It's easy to maintain through the site. The UI would need a little bit love, especially on mobile web, but other than that the service works as I expect it. As long as your code is publicly available you should definitely use Snyk to have a friend checking up on you. It's like taking your code to the doctor. "Effective, targeted product - does its job well"
Nothing really, other than knowing how many vulnerabilities are out there! Allows us to leverage open-source while minimizing security concerns - especially important when dealing with enterprise clients and data. "Great for stopping vulnerabilities before they get merged." Multiple language support, rejection of pull requests with recommendations to fix. Not much. Now that PHP is supported, it covers all languages we use. Simplified management and reduction of vulnerabilities introduced in custom and third party code. "Fantastic, just wish it supported PHP"
GitLab and GitHub integration, rejects pull/merge requests if vulnerable code introduced, recommends remediation steps. If you use GitHub or GitLab repos, look into it. See "what do you like best." Prevents insecure code from being merged. IBM Security AppScan Standard can help minimize web application attacks and expensive data breaches by automating testing of application security vulnerabilities. It allows you to test applications before deploying them and assess risk in production environments on an ongoing basis. Peach Fuzzer is an automated security testing platform that prevents zero-day attacks by findng vulnerabilities in hardware and software systems. WebInspect offers automated dynamic application security testing (DAST) and interactive application security testing (IAST) technologies that mimics real-world hacking techniques and attacks, provides comprehensive dynamic analysis of complex web applications and services, and crawls more of the attack surface to exposes exploits. Provides an end-to-end Application Security platform to bring you objective data so you can make informed decisions regarding the security, risk, cost, activity, quality, maintainability, efficiency and dependencies of your applications. 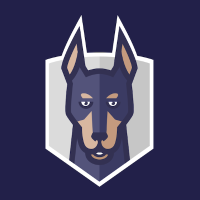 Code Dx’s automated application vulnerability correlation shaves weeks off that process so you can get right to fixing your code. Its vulnerability management lets you quickly prioritize vulnerabilities (to fix the most important ones first), track progress of their remediation, and observe how your code's security changes over time. Indusface web application scanning helps detect web application vulnerabilities, malware, and logical flaws with daily or on-demand comprehensive scanning. Managed by certified security experts, Indusface WAS helps organizations find a greater business impact of logical flaws with detailed demonstrations through proof-of-concept. AppScanOnline is the leading provider of mobile app security software for today's developers. AppScanOnline's automated static vulnerability testing service quickly provides security teams with a detailed report compliant with both OWASP Top 10 and Industrial Development App standards, allowing developers to bring their application to market sooner. * We monitor all Snyk reviews to prevent fraudulent reviews and keep review quality high. We do not post reviews by company employees or direct competitors. Validated reviews require the user to submit a screenshot of the product containing their user ID, in order to verify a user is an actual user of the product. Hi there! Are you looking to implement a solution like Snyk?